Whitewater Ranch is managed by Seth Morgan. Seth was born and raised in Leaburg, Oregon. Seth worked at the Leaburg Trout Hatchery for over a decade. Seth also manages Spring Creek Holly Farm where he and his familiy reside. With nearly 100 acres of certified organic blueberries in production Seth manages the largest organic blueberry farm in the McKenzie River Valley. Whitewater Ranch was managed from 1990 - 2018 by Lorin Zastoupil and his wife Mary Alice. Lorin was born in Silverton, Oregon and raised Christmas trees in Wisconsin before joining Whitewater Ranch in 1990. Lorin's farming experience and insight helped develop the ranch into a state of the art blueberry facility and managed forest. Lorin was friends with everyone on the McKenzie River. He always saw the glass half full. His passing in early 2018 was untimely and we are all better for knowing him. The area that encompasses the current Whitewater Ranch was home to many different people. From Native Americans to local celebrities to homestead settlers. Below are a few names and dates and some history about the area. 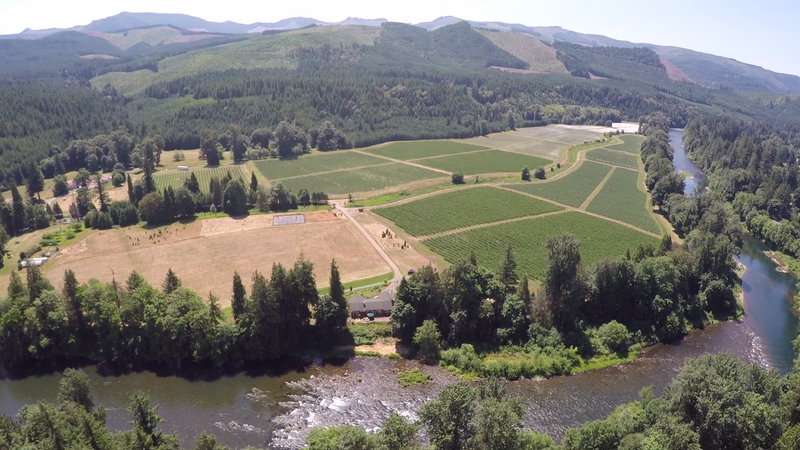 The ranch has been a dairy, cattle ranch, row crops, Christmas tree farm and blueberry farm. 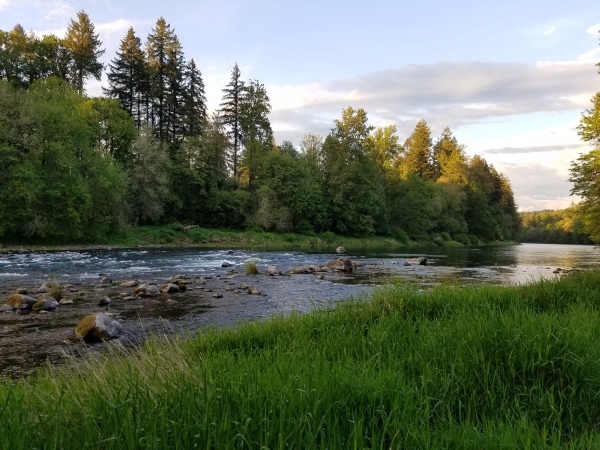 The original name, Whitewater Ranch, was given by Harold & Alyso Mack of Los Angeles in 1935, but it was changed to Steelhead Timber Ranch in 1949 By Albert L. (Vern) and Dorothy Hawn and back to Whitewater Ranch by Martha Haake in 1983. More of the history . . . The McKenzie River Valley was inhabited by the Kalapuya and Molala natives. They would move from the mountians to trade with costal tribes. 1812 the first expedition came through the valley led by Donald MacKenzie with the Pacific Fur Company. 1853 A group of settlers and exploders traveling the Oregon Trail got lost crossing the Cascades and made their way down the McKenzie River Valley. 1877 The Leaburg Post office was established named after Leander Cruzan later renamed Leaburg. 1885 was the earliest recorded ownership of the property, Benjamin Franklin Finn. The namesake of Finn Rock. 189? the property was purchased by the Oregon and California Railroad (O&C). To settle the West and colonize the areas a competition to see what company could build a railroad from Portland to San Francisco was started. 3.7 million acres were made available by the U.S. Government. Eventually, 160 acre parcels were sold for $2.50 per acre to encourage people to settle the land. It is said in the late 1890's, actress Marion Davies own the ranch a short time. By the end of the 1890's William A, Hickson and Salomen C. Dotson had owned the property. 1907 - 1917 Dr. Carrie E. Leiburg (medical doctor)and her husband John Bernard Leiburg (a famous botanist) used a ferry to cross the river as the Leaburg Dam, built by Eugene Water and Electric Board was not completed until 1929. 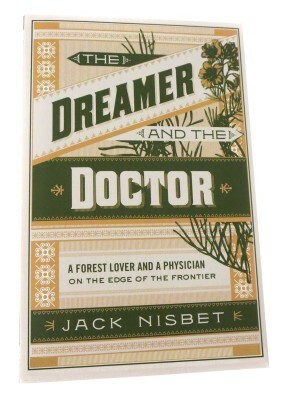 A book was written about their life together, The Dreamer and the Doctor by Jack Nisbit. John died in 1913 followed by Carrie in 1917, both are buried in Masonic Cemetary in Eugene. 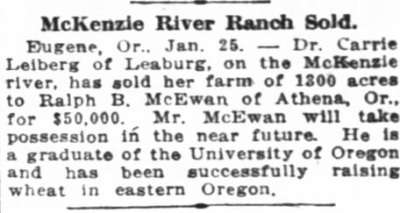 1917 - Ralph B. McEwen of Athena Oregon owned the ranch. 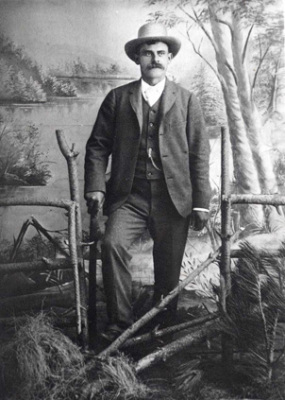 McEwen, a graduate of the University of Oregon was a successful wheat farmer in Eastern Oregon. 1923 Taylor D. Archer of Indiana, homesteaded a piece of the current Whitewater Ranch. 1935 Harold & Ayso Mack, from Los Angeles, purchased the property and built most of the existing buildings with flat roofs and started a dairy farm. Harold enjoyed fly fishing with many of the local guides in the area and developed the Mack Special later to be known as the McKenzie Special green caddis dry fly. 1949 Albert L. (Vern) & Dorothy Hawn- an investment banker from Eugene bought the ranch and changed the name to the Steelhead Timber Ranch and ran over 100 Pollard Hereford cattle. 1972 -1978 Scheider Machine Co. and Welby Addison Schneider owned the property and considered converting the ranch to condominiums and golf course. 1979 Daryl Richardson of A&R Lumber in Junction City purchased the ranch. 1983 - Present Marth Haake purchased the ranch as Whitewater Ranch and began to raise Scottish Highland Cattle. Later Christmas trees were planted and then blueberries. A family partnership now manages the ranch. Book about the lives of Carrie and John Leiburg.